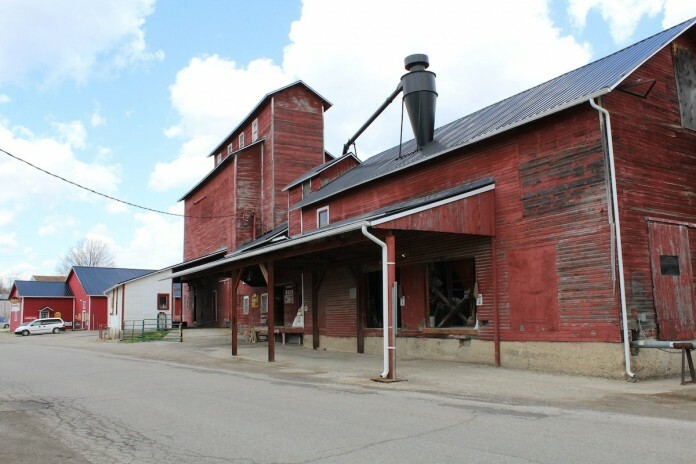 BELLVILLE, Ohio — The old wooden feed mill along the Clear Fork river has been a part of Bellville’s history since the mid-1800s. The mill is believed to have been built in the 1840s, and for generations it has provided farmers in this rural Richland County community a place to buy and sell commodities, and to get caught up on what’s happening in the community. More than 170 years since it was built, the mill is still standing, still in business, and, with new owners and a new business model, the mill is still growing. Donnie Clark worked at the mill when he was in high school and college, and became familiar with its history and the many stories townspeople shared. 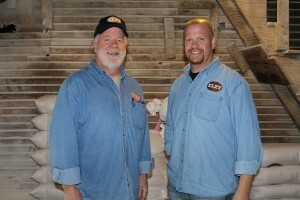 In 2011, he and his father, Butch Clark, purchased the mill and began a massive renovation project. They fortified the walls, replaced the old roofing, poured some cement, applied new paint and gave the mill a new name, Elzy Milling & Trade, based on a common middle name in the family. The father and son duo have also farmed together in the area for the last 10 years, and were looking for a way to keep the old mill going — and offer something unique to the area. “We were looking for a creative outlet for what we do and we thought, well, create your own market,” Butch Clark said. Today, the Clarks and their employees mix, bag and deliver their own brand of livestock feed, blend custom mixes, and serve a regular set of customers from about eight counties. They’re especially known for their brand of non-GMO feeds, which use non-GMO corn from their farm. 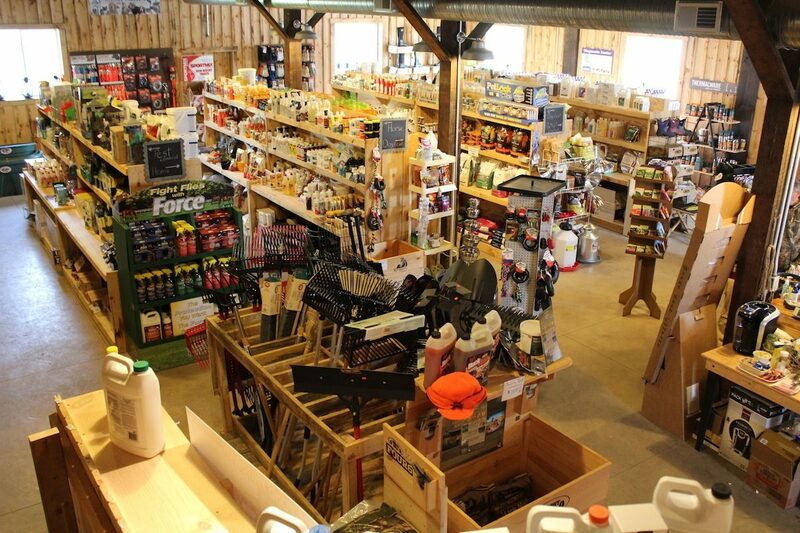 Within the past year, they also opened a newly expanded retail facility that includes 2,400 square feet, dedicated to everything from pet feed and gardening, to home and country living. The retail store features the kind of open-cut, unfinished lumber you’d see on a much older building and provides a rustic setting for merchandise and for conversation. The store is a busy place at times — especially on the weekends, when locals come in with their coffee and snack items and exchange ideas. The weekdays are a little more industrious, with people coming in for feed, but on Saturday, customers come for the scenery, and to socialize, Butch said. “It’s not odd to see on the weekend, somebody sit up in the parking lot with an easel and a chair and paint (this place),” Butch said. The local customers often bring stories about the history of the mill and its previous owners. Some bring black and white pictures of the mill, and the Clarks have had some enlarged, and now displayed on the walls. That’s the experience the Clarks want: something that serves everyone — from livestock producer to hobbyist and homekeeper. Their own farming experience, which includes 1,300 acres, helps them understand farmers’ concerns. They also have about eight other full-time employees, who have a wide range of backgrounds and expertise. Donnie’s wife, Jamie, is an attorney and the store bookkeeper. His sister, Ashlie, is a veterinary technician and offers her veterinary expertise, and Donnie’s children, Maddie, 11, and Cael, 10, help with light chores. Butch’s wife, Toni, also works for the mill. “There’s a theme running for our company of agricultural and animal care,” Donnie said. And there’s another theme — hard work and customer service. They get to know their customers and answer their questions. That often means early mornings and late evenings, but it’s part of running a family business. The mill is making a name for itself in Richland County, and across the state. The Clarks were recently awarded the Richland County Chamber of Commerce small business of the year award, and the Richland Community Development Group award. 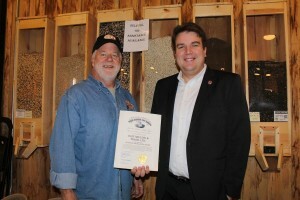 Butch Clark (left) receiving recognition from Ohio Gov. Kasich’s office. In April, a representative from Gov. John Kasich’s office visited the mill, to present a signed Business Excellence Award. The Clarks take a lot of pride in their achievements. “At a time when older, small feed mills are either being repurposed or are being torn down, or are being bought by larger entities, I think a single family-owned feed mill and country store is becoming the exception,” Donnie said. In addition to livestock feed, the mill is also licensed to mix grass seed. They make deliveries to five different counties and customers have visited the retail facility from other states. 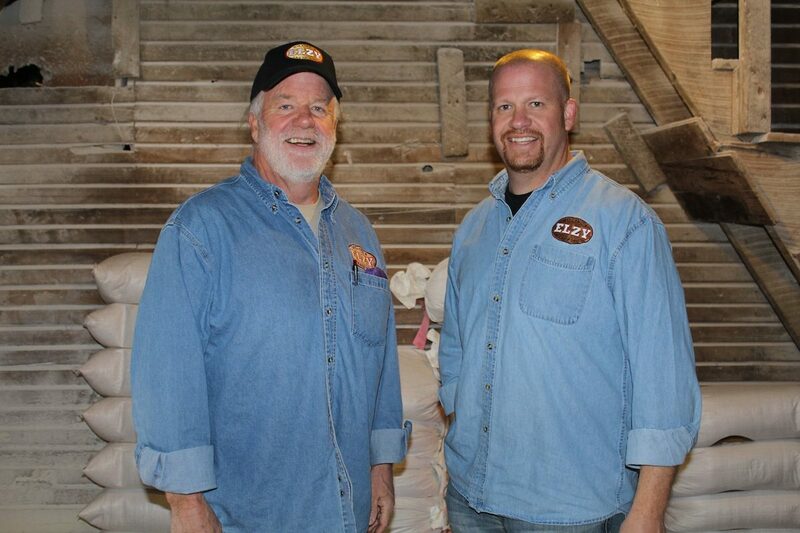 The mill isn’t in the business of buying and storing farmers’ grain, as a larger, commercial feed mill would be, but it’s helping to serve a niche market that the Clarks say is growing. “I think people are in this vein of self-sufficiency now (and) we’re trying to provide some solutions for that,” Donnie said. That includes everything from feed for backyard livestock, to household goods like candles, soap and locally produced honey. The Clarks also offer show feed and supplies for 4-H and FFA members, and at a discounted rate. And because they also rent part of the ground where they farm, they offer the landlords a discount, as well. “The relationships we develop through this and through the farm just resonates into all parts of life,” Donnie said. When they’re farming, he and his father keep in touch with the mill workers via cellphone. But in reality, the employees can pretty much run the mill on their own, he said. As demand continues to grow, the Clarks are open to wherever that takes them, whether it’s more retail space, production or storage. But they also want to proceed cautiously.